cell layers of the retina with arrows designating a few ganglion cells. the other cells to the right of the labeled cells are also ganglion cells. 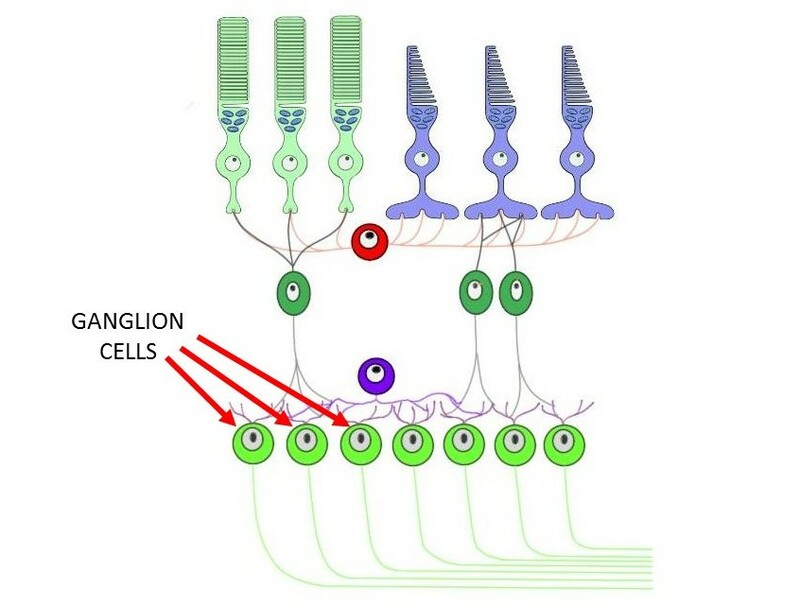 can refer to any neuron found in a ganglion, however it is often used to refer to retinal ganglion cells. These cells carry visual information out of the eye, forming the optic nerve.